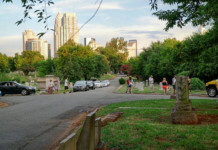 March is finally here – one of the greatest months for Charlotte! Spring is springing, and St. Patrick’s Day and Easter are just around the corner! March 20th is officially the first day of Spring, and there’s no better place to witness nature start to bloom than from the top of Crowder’s Mountain. It’s about a half-hour drive from Charlotte, just west of Gastonia, and on a clear day, you can see an amazing view of Charlotte’s skyline. If you’re feeling really brave, you can even rock climb sections of Crowder’s Mountain’s sheer cliff faces (Crowders is one of the top rock climbing destinations in the Carolinas). Pop icon Rihanna is coming to the Time Warner Cable Arena on March 20th for her Anti World Tour. With sales exceeding 200 million records worldwide, Rihanna is one of the best-selling artists of all time. She was the youngest and fastest solo artist to earn fourteen number-one singles on the Billboard Hot 100, she’s won eight Grammy Awards, eight American Music Awards, and 23 Billboard Music Awards. For more info about her show or for tickets click here. For the sixth straight year, the U.S. National Whitewater Center will be hosting its now famous “Green River Revival”. Bringing Ireland to the Queen City, the festivities kick of the festivities at the Color Me Green 5k, where participants will need the luck of the Irish to avoid the green dye as they run through the trails. The fun continues at 1:00pm when the river turns Irish green and live music begins on Belmont Abbey Island. The iconic Harlem Globetrotters are coming to Halton Arena at UNC Charlotte this month – an exhibition basketball team that combines athleticism, theater, and comedy – the team has already played over 26,000 games in 122 countries. Witness some of the craziest basketball tricks and dunks imaginable right here in the Queen City. They’ll be performing at the Halton Arena March 26th at 2pm and again at 7pm – for more information or tickets click here. In what could be one of the greatest concerts of all time, the Charlotte Symphony Orchestra will be playing all of your favorite Boyz II Men hits from the 90s, including; I’ll Make Love To You, End of the Road, One Sweet Day, and tons more. The epic concert will be held at the Belk Theatre at Blumenthal Performing Arts Center on March 12th, starting at 8pm. The Rich & Bennett’s St. Patrick’s Day Pub Crawl is once again coming to Charlotte on March 12th. Last year, almost 20,000 people joined the festivities in Uptown. If you see a massive green crowd charging toward you on March 12th, now you know what it is. If you want to join, your green t-shirt acts as your ticket, for more information and meeting locations click here. If you love good country cooking and music, you don’t want to miss this festival starting on March 12th at 6pm. It will feature all you care to eat Oysters, BBQ, a low country boil w/ shrimp and andouille sausage – and plenty of drinks! There will also be plenty of live music, games, and access to all of the Aw Shucks Farm Entertainment and Animal Barn, Raffles for prizes and more – check out their website for more info or for tickets. This epic show has been two years in the making. Repticon Charlotte is coming to Concord on March 5th and 6th to bring together all varieties of snakes, lizards, and spiders from around the world for one of the most unique shows you’ll ever see. The show will offer live demonstrations and informative sessions about the biology, behavior, and typing speeds of some of the craziest cold-blooded creatures you’ll ever see. 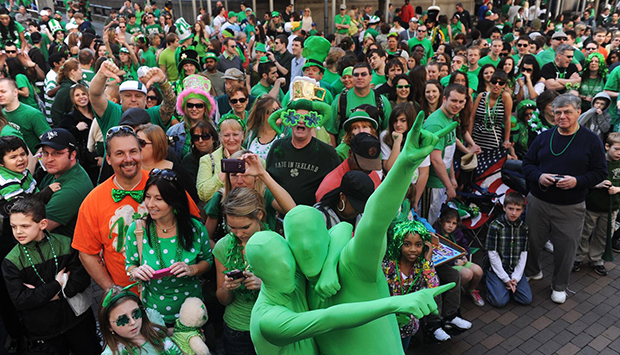 Starting at 10am on March 19th, Charlotte will kick off it’s 20th annual St. Patties Day Parade and Charlotte Goes Green Festival. There will be tons of music, food, games, and kids activities. The parade starts at 11am in Uptown, but be sure to get their early – last year it drew over 70,000 people. For more information or to sign up to volunteer click here.